Heavy-duty 2018 RAM 2500 model options range from the affordable Tradesman trim level to the luxurious Limited. Browse these 2018 RAM 2500 trim levels to find the best high-performance pickup for Seminole truck fans! Where Can I Find the RAM 2500 in Brownfield? 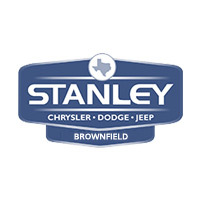 At Stanley Chrysler Dodge Jeep Ram Brownfield, we carry a wide selection of RAM 2500 models, and we’re happy to help Brownfield customers. We can even help you find out about the rich music history of Lubbock, TX. Contact us with any questions!